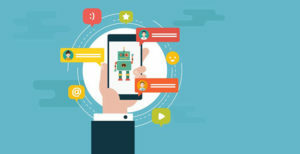 In addition to realizing these advantages, Chatbots are appealing because they can be readily adopted and integrated into the organization, automate processes, deliver services quickly and consistently, etc. This is particularly true in financial services (ie : Banks), retail, travel, etc. – for convenience and to expand the options for people to engage – with current Customers, to attract new Customers, for Partners, and internal personnel. With more and more organizations launching Chatbots, it’s important to establish clear goals for the project. As part of the process, you need to articulate the issue to be addressed or the problem to be solved – for focus and a higher probability of achieving success. No matter whether you’re launching a Chatbot to help people with their banking, ordering a pizza, buying tickets, doing an inquiry or research, etc. – you need to personify your bot to help bring it to life. What name will it have ? What type of personality should be provided ? Is the User experience to be serious and matter of fact, or more casual and playful ? It’s important to address these details early because they set the tone for how people interact with your bot and your organization. As a matter of priority, make sure these interactions are not only consistent, but also aligned with your brand. There are lots of different places where bots operate. You can install them on your company website, app, or in third-party conversational platforms such as Google Home, Alexa, Facebook Messenger, or WhatsApp. When deciding where to host your Chatbot, it’s important to understand which channels your target audience tends to use. Think carefully about which channels your audience are already in and start there. Often, it’s a good idea to begin with just one channel and then expand over time. In a world where data breaches make headlines, security is important. All the more so when it comes to highly sensitive data – especially Customer and proprietary company information. Having secure systems includes always authenticating Users before they can access account information and limiting the types of changes they can make to their account. In addition to taking these and other steps, it’s important to be transparent and disclose the organization’s security policies to help reassure Customers it’s a safe environment. Like people, bots have limitations with topics outside their scope or understanding, can have difficulty with context, struggle with certain terms or intent, etc. Because of this, to mitigate mistakes or a misunderstanding of what a person is saying, know how to handle the situation appropriately. In most cases, this will involve acknowledging that your bot hasn’t understood something about that particular topic and immediately connecting the person to a Customer Service Representative to resolve the issue, or asking qualifying questions, or make a suggestion, etc. When it’s time to release your bot, take a phased in approach. For example, release your bot to internal stakeholders and friends and family first, followed by a soft launch to just a few channels or a subset of your Customers. Only once that’s done, should you go ahead and make a big roll out. The reason for this incremental approach is that at each step along the way you’re going to gain insights as well as data and feedback – to improve and refine your bot. That way, by the time you’re ready for a mainstream release, you’ll have refined and enhanced bot capabilities for a better User experience. Rather than just making the Chatbot available, think about the initial User experience and how to drive early adoption. To do so, promote and educate people about the bot and the benefits they can realize by using it. It’s also important to help people understand how to take advantage of it by focusing on bot capabilities from which they can quickly and easily benefit. To accelerate adoption, people need to be impressed with the new capabilities a bot can provide with a current service, additional benefits with new service, etc. As with any new tool, including a Chatbot, it’s very important to deliver a great User experience – the first time and every time people engage or interact with your organization. Because people have expectations, opinions, are impatient, etc. – if they have a bad experience with your bot, or it just doesn’t work the way they expect – most people won’t give it a second chance. Keep in mind because there is no single or simple solution to getting the Chatbot right, think of it as an evolutionary, iterative, ongoing process that needs to be refined and enhanced periodically to deliver a great User experience – initially and over time.